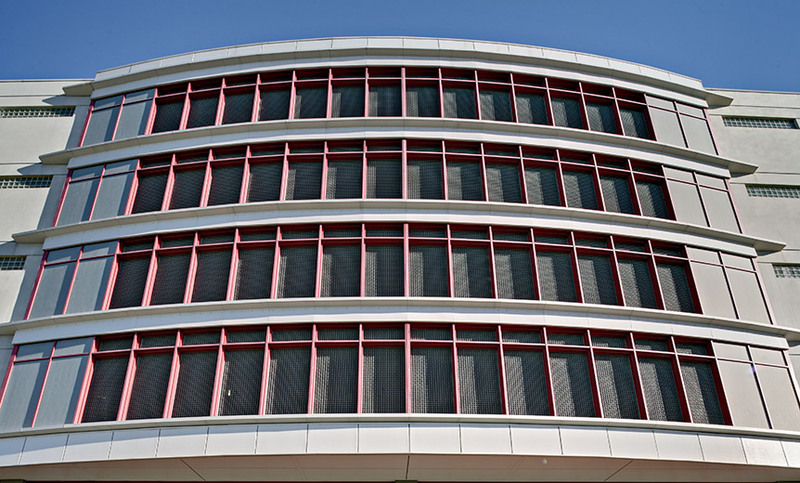 Hudson County Correctional Center-Renovation & New Building Addition - MAST Construction Services, Inc. This project is a result of over-crowded conditions at the medium security correctional center. Hudson County engaged MAST to manage the design and construction of a new five-story, 110,000 SF dormitory/kitchen facility. This post-tensioned concrete building fosters the secure relocation of 585 inmates to a dormitory style detention environment, while the new kitchen services the entire population of 2,000 inmates at the Correctional Center. 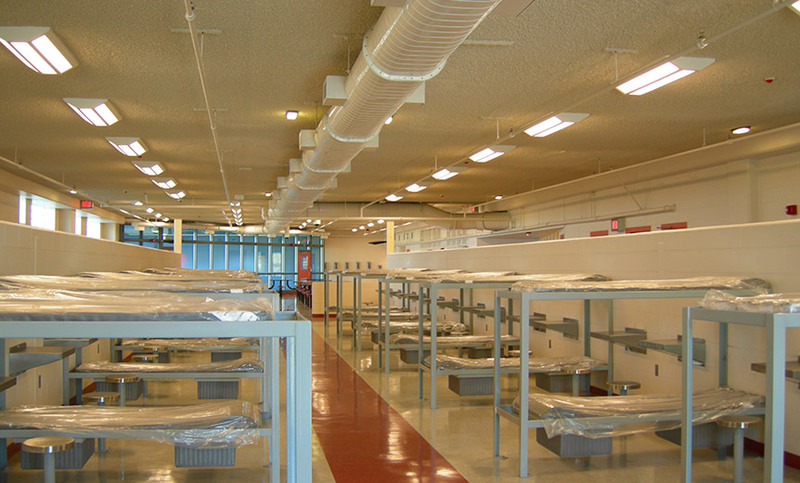 In order to best serve the prison capacity, the kitchen would need to be able to provide 6,000 meals per day, however, the kitchen was designed to a capacity of 50,000 meals per day in order to service community programs such as Meals on Wheels. 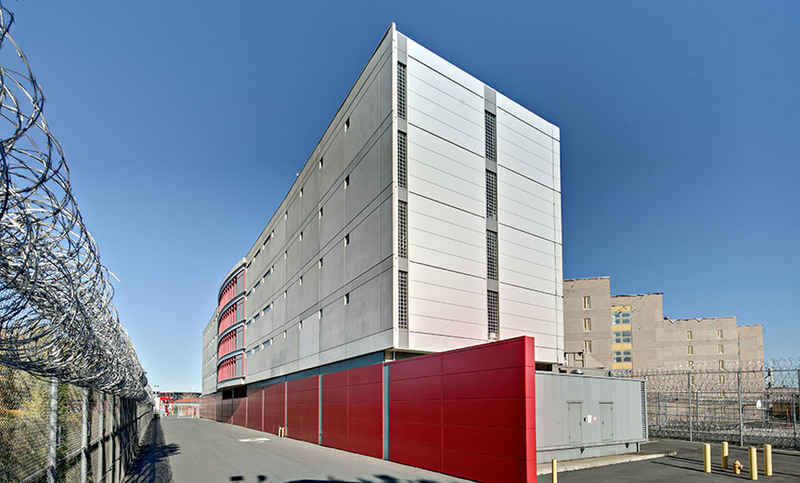 With this capacity, Hudson County Correctional Facility is able to serve other jails and county public entities. 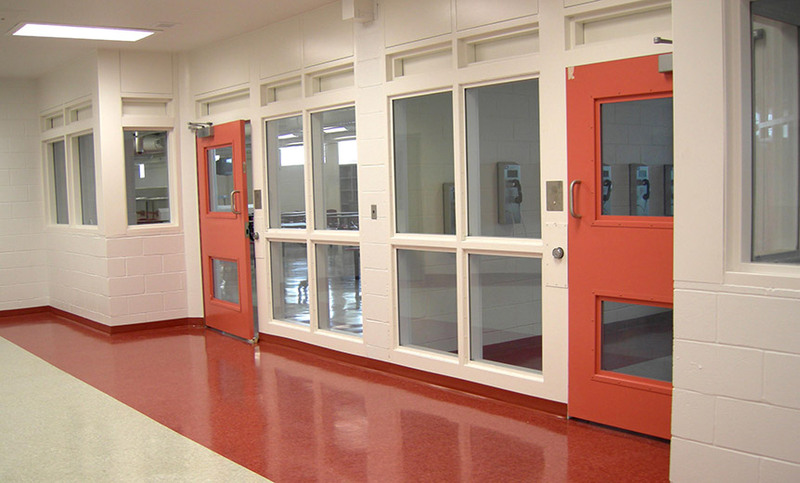 Security and fire protection systems were upgraded in the existing 750 cell facility. This facility received the NJPA Real Estate Journal’s, The Best of 2004, Best Construction/Renovation Project of 2004 award.